Thank-you notes have a more intimate and friendly social tradition than formal business correspondence. I think that is one reason they work so well—people respond to those who show good manners and say thank you. Here are some situations when you should use them, along with some sample notes. In some situations, you can send a less formal note before an interview, usually by e-mail unless the interview is scheduled for a fairly distant future date. For example, you can simply thank someone for being willing to see you. Depending on the situation, enclosing a resume could be a bit inappropriate. Remember, this is supposed to be sincere thanks for help and not an assertive business situation. This also serves as a way to confirm the date and time of the scheduled interview and as a gentle reminder to the recipient that you will be showing up at that time. Figure 4-1 is an example of a thank-you note written for such an occasion. Thanks so much for your willingness to see me next Wednesday at 9 a.m. I know that I am one of many who are interested in working with your organization, but I'm confident that you'll find my qualifications are a good fit for the role. I've enclosed a JIST Card that presents the basics of my skills for this job and will bring my resume to the interview. I appreciate the opportunity to meet you and learn more about the position. Please call me if you have any questions at all. • Doing so creates a positive impression. The employer will assume you have good follow-up skills—to say nothing of good manners. • It creates yet another opportunity for you to remain in the employer's consciousness at an important time. • It gives you a chance to get in the last word. You get to include a subtle reminder of why you're the best candidate for the job and can even address any concerns that might have come up during the interview. 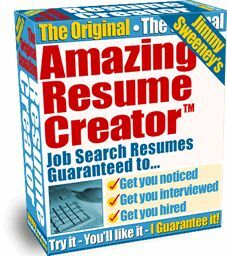 • Should they have buried, passed along, or otherwise lost your resume and previous correspondence, a thank-you note and corresponding JIST Card provide one more chance for employers to find your number and call you. 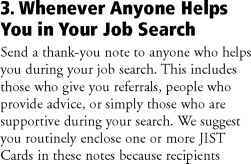 For these reasons, we suggest you send a thank-you note right after the interview, and certainly within 24 hours. Figure 4-2 is an example of such a note. Tip: Enclose a JIST Card with your thank-you notes when sending your note through the mail—you can find JIST Card samples and writing tips later in this chapter. JIST Cards fit well into a thank-you-note-sized envelope, and they provide key information an employer can use to contact you. 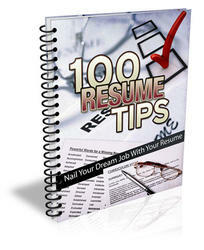 JIST Cards also list key skills and other credentials that will help you create a good impression. And the employer could always forward the card to someone who might have a job opening for you. Tip: Send a thank-you note by e-mail or mail as soon as possible who receives it and are most likely to make a good impression. can give them to others who may be in a better position to help you. Figure 4-3 is an example of such a note. Thank you for sharing your time with me so generously yesterday. I really appreciated talking to you about your career field. The information you shared with me increased my desire to work in such an area. Your advice has already proven helpful—I have an appointment to meet with Robert Hopper on Friday. In case you think of someone else who might need a person like me, I'm enclosing another resume and JIST Card.